1567 - Italian composer Claudio Monteverdi was born. 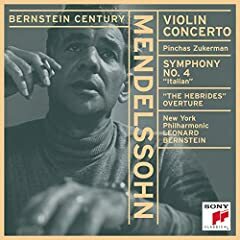 1832 - First performance of Mendelssohn's Hebrides Overture. 1936 - Singer Bobby Darin was born. 1942 - First performance of Aaron Copland's Lincoln Portrait. 1964 - Jan and Dean recorded Little Old Lady From Pasadena. 1974 - Final London performance by Leopold Stokowski conducting Otto Klemperer's Merry Waltz. 1998 - Singer Frank Sinatra died. Conductor Otto Klemperer was born May 14, 1885 in Breslau, Germany. After study at the Hoch Conservatory in Frankfurt, Klemperer went to Berlin to study piano, composition and conducting under Hans Pfitzner. In 1905 Klemperer met Gustav Mahler while conducting the off-stage brass at a performance of Mahler's Symphony No. 2 (Resurrection). They became friends, and Klemperer became conductor at the German Opera in Prague in 1907, on Mahler's recomendation. In 1910, Klemperer assisted Mahler in the premiere of his Symphony No. 8 (Symphony of a Thousand). Later Klemperer became chief conductor at the Cologne Opera. He moved to Berlin in 1927, and became conductor of the Kroll Opera. He held the position until 1931. While there he developed a reputation as a champion of new music, playing several new works there including Janacek's opera, From the House of the Dead, Schoenberg's Erwartung and Stravinsky's Oedipus Rex. In 1933, the Nazi Party had come to power in Germany. Klemperer, who was a Jew, left Germany, moved to the United States. He became conductor of the Los Angeles Philharmonic Orchestra. In spite of growning sentiment against Germany, Klemperer began to concentrate on the standard works of the Germanic repertoire, especially the works of Beethoven, Brahms and Mahler. He stayed until 1939. He also conducted the Philadelphia Orchestra, the New York Philharmonic and the Pittsburgh Orchestra. 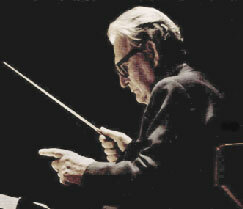 He later conducted in Hungary and London, continuing his conducting until retiring in 1972. He died July 6, 1973, in Z�rich. 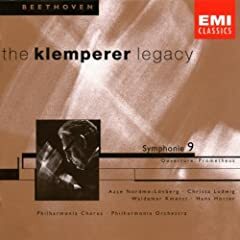 Klemperer's contributions to music, include several compositions, and the courage to break from sentimental, conservative interpretations of the great composers and experiment with new, vibrant interpretations. 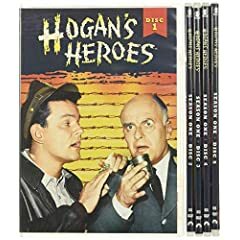 Otto Klemperer's son Werner became famous due to quite widely known television show and his portrayal of an eccentric prison camp commander. 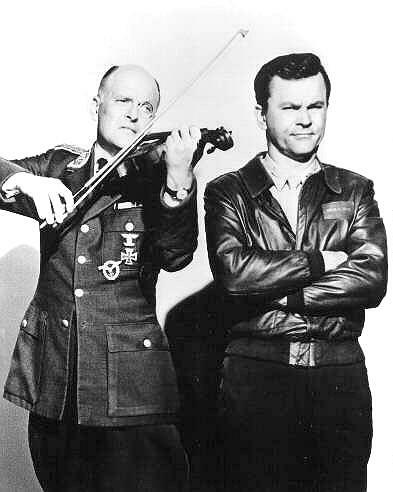 Can You Guess what show Werner appeared on, what character he played, and what musical instrument was associated with him? The beautiful, full-sized Fender FV-1 Electric Violin features a chambered body, solid spruce top, maple back and sides, ebony fingerboard, and a special-design piezo electric bridge. Fender includes hardshell case, bow, and rosin with the FV-1 Electric Violin.